— 2010 Vision: Stir the sleeping system. Observe it rumble, roar, push, pull, tremble, hiss, sigh… breathe. You are the missing part. Rewire its senses. 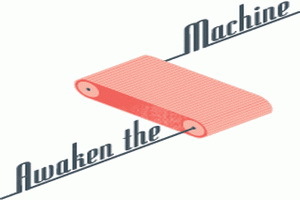 Awaken the Machine. 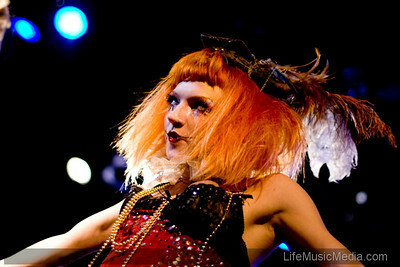 2high Festival is Australia’s one-of-a-kind multi-arts experience for young emerging artists and cultural producers. Young and old wait in the shadows for the outsiders. 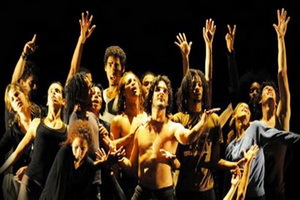 Excited and unsure about what to expect from these strangers, from this contemporary dance troupe from the other side of the world, the other side of governance. Their entrance: a few members trickle onto the stage, in silence and unadorned. The performance starts in enmeshed innocence, dancer wrapped around dancer, cheek to cheek, limb to limb, ebbing and flowing into one another. Behind these demonstrations of closeness sits a man alone in a chair. Far away from him is a woman in a lounge room setting – flickering lamp, thick rug, and a lonely expression. They both ignore the blatant yet playful seduction occurring in front of them. The dancers too, are oblivious to these others: wrapped up in the intensity of their unfolding romance, their focus remains themselves and their explorations. There is no question we are watching the beginnings of love. Greg, middle-aged and middle-class, returns to his Upper West Side apartment in the late afternoon accompanied by Sylvia, a beautiful, frisky young blonde he has just picked up in the park. Greg sits in his favourite chair, worried about how Kate, his wife, is going to respond to Sylvia. Sylvia doesn’t make things easy. Too excited to settle down, she moves around the room checking out the furniture. She turns to Greg. She obediently collapses onto the floor, resting her chin on his knee, while staring up at him with blind adoration. What man could resist? 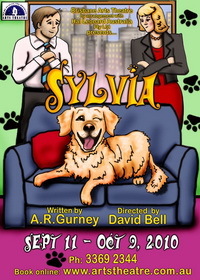 A street-smart mixture of Lab and Poodle, Sylvia becomes a major bone of contention between husband and wife. The Valley Studios will be transformed into a kaleidoscopic extravaganza of music and interactive art Connect 4: PLAY. 4C Arts Collective has joined forces with a collection of Brisbane’s best emerging musicians, visual and performance artists to bring fun and mayhem. Aural delights will be provided by some great emerging bands. Dot.ay’s highly experimental and creatively satisfying tunes will keep the dance floor buzzing, followed by Hunz, who combines visual art and music together in his unique live shows; Music will be seen; Art will be heard. Combine this with the raw rocking talent, high energy and tremendous tunes of Little Vegas and the Fuzz Parade and 4C has an undeniably stellar line-up. 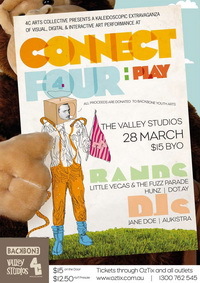 All proceeds from Connect 4: PLAY will be donated to Backbone Youth Arts, one of Queensland’s leading Youth Theatre companies. Backbone Youth Arts supports, encourages and grows youth arts in Brisbane and is well known for its annual 2high Festival which provides unique and invaluable experience for festival and event management for young people with a passion for theatre, music and visual arts. It’s been a long time between news, but we’re very happy to report that Bernard will be putting his solo hat on for a one off show in support of Youngcare. The Bernard Fanning Youngcare Benefit Concert will take place on Saturday November 8th at The Tivoli, Brisbane. Tickets to this exclusive event go on sale this coming MONDAY OCTOBER 6th AT 9AM from Ticketek. Also taking part will be Kasey Chambers, Whitley and a surprise guest performer. 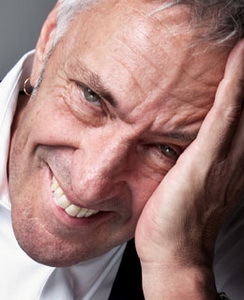 Bernard is also acting as Musical Director and co-host of this year’s event.